Grey-t To Be Here, three coats. Light grey creme with pink shimmer flecks. Breaking the silence with a texture polish! 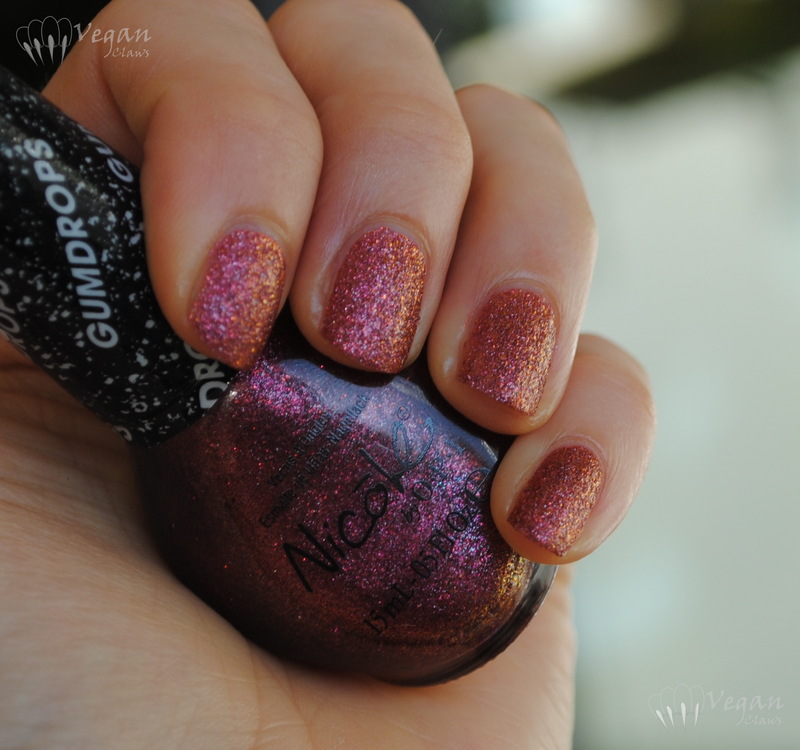 This is Nicole by OPI Cinna-man of My Dreams (what’s with all the stupid “man of my dreams” names? They already had “snow-man of my dreams” in one of the winter collections, sheesh! heheh). 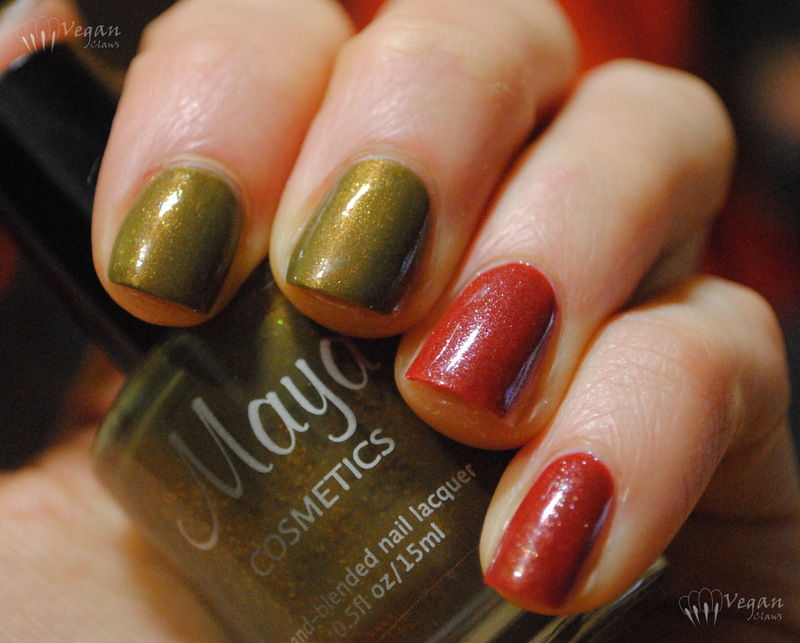 Anyway, this is a great polish! 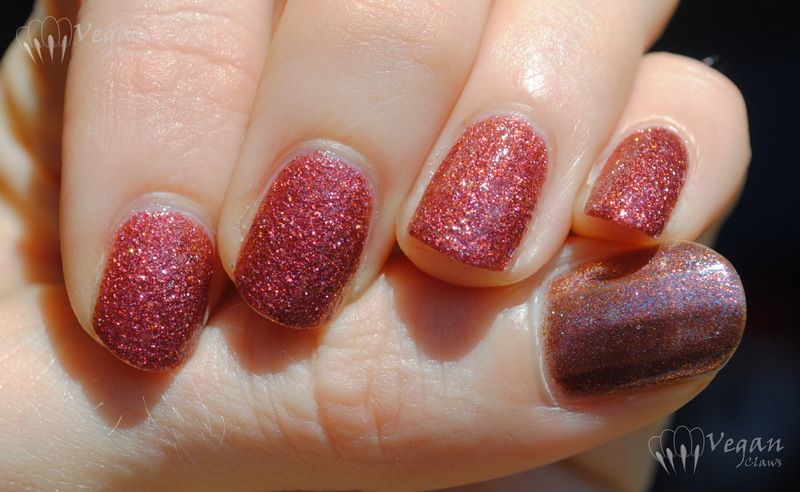 It’s a sparkly multicoloured texture, with predominantly brick red and burgundy tones and little sparks that appear orange and blue in the light. Very complex and deep polish! 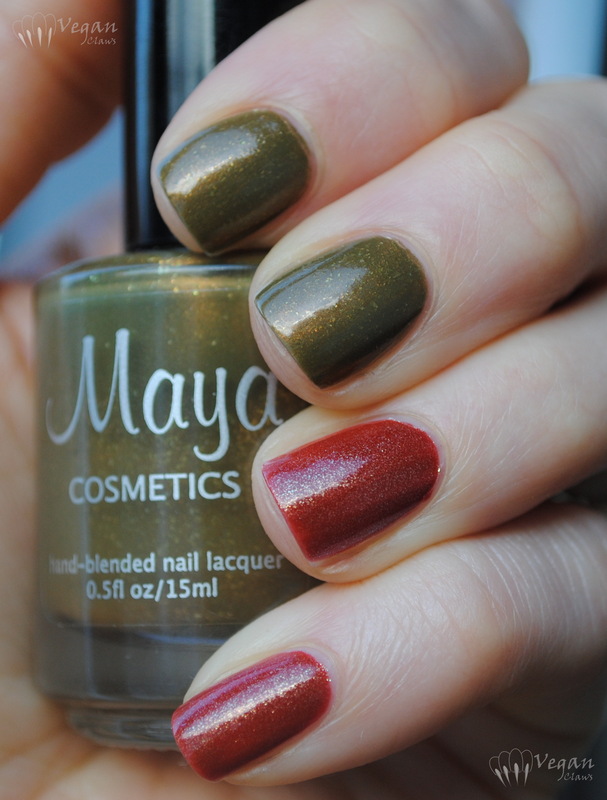 Shown are two coats; it has a great formula. As usual any of the photos can be clicked on to see the full size versions that show the sparkly detail of the texture! Here it is with topcoat. I added a third coat before the topcoat because I had a bit of tip wear from already having the polish on for a while. I did an accent thumb nail in Nicole by OPI Just Busta Mauve since they seem like such complementary polishes! 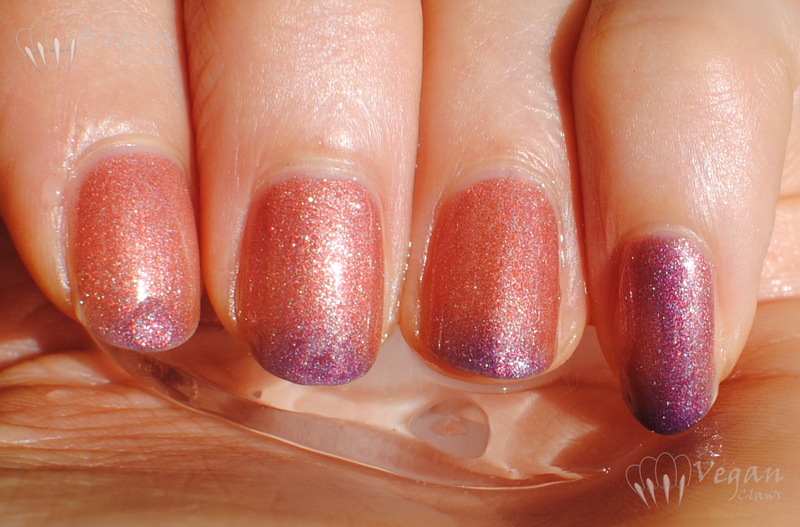 Busta Mauve is kind of like the foily fleck version of Cinna-man, but it does have a lot more blue and purple in it. That, and the fact that the texture “ate” my first coat of topcoat pretty well, inspired me to add OPI I Juggle Men overtop. Hi all, I have two more polishes from the Ruby White Tips Batworld collection to show you today! 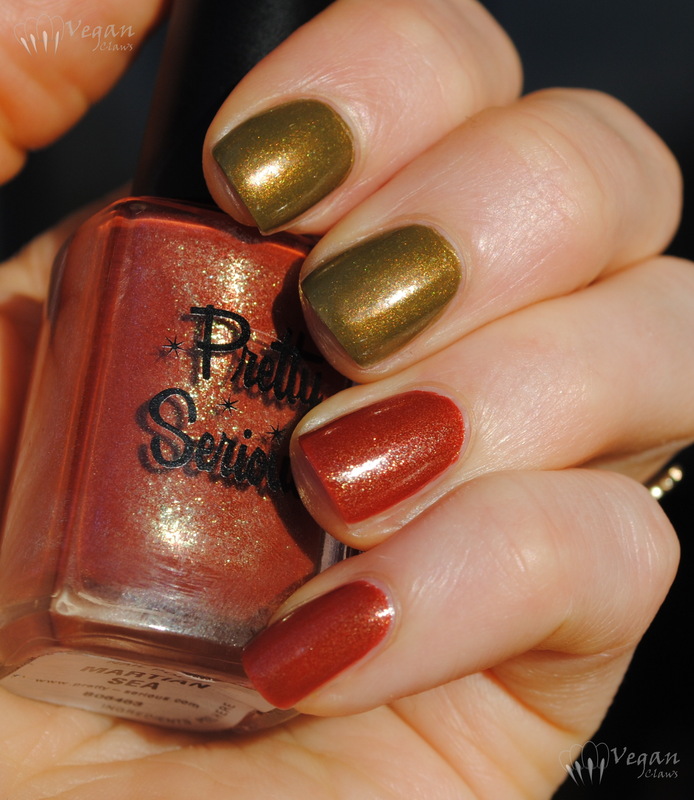 The first two polishes, Boo2 and Peekaboo, were shown in my last post here. 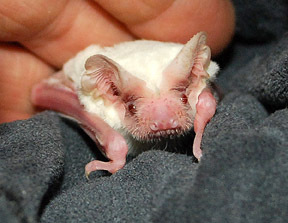 As mentioned there, half the proceeds of this collection go to the Batworld sanctuary to help them rescue, rehabilitate and care for orphaned and injured bats. 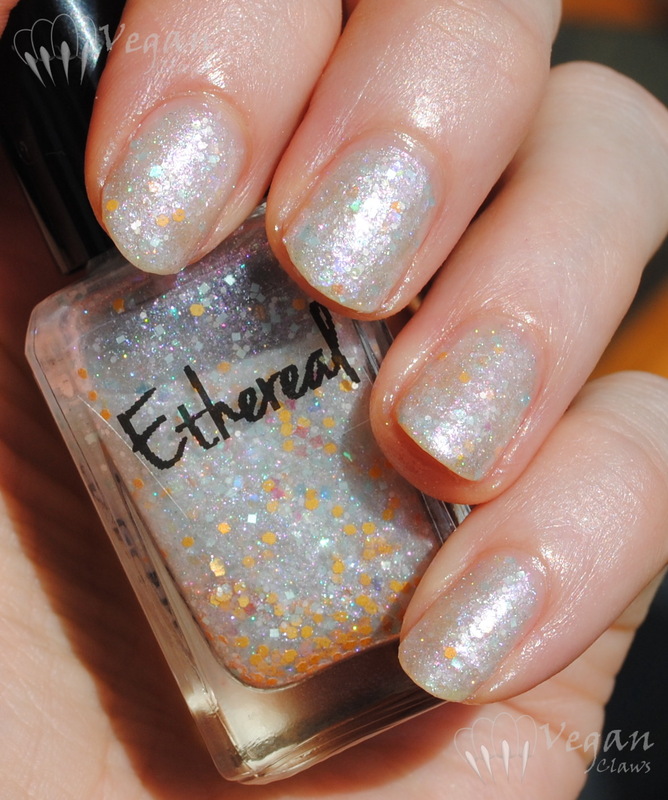 Here is a bottle picture of the lovely polish named for Ethereal. 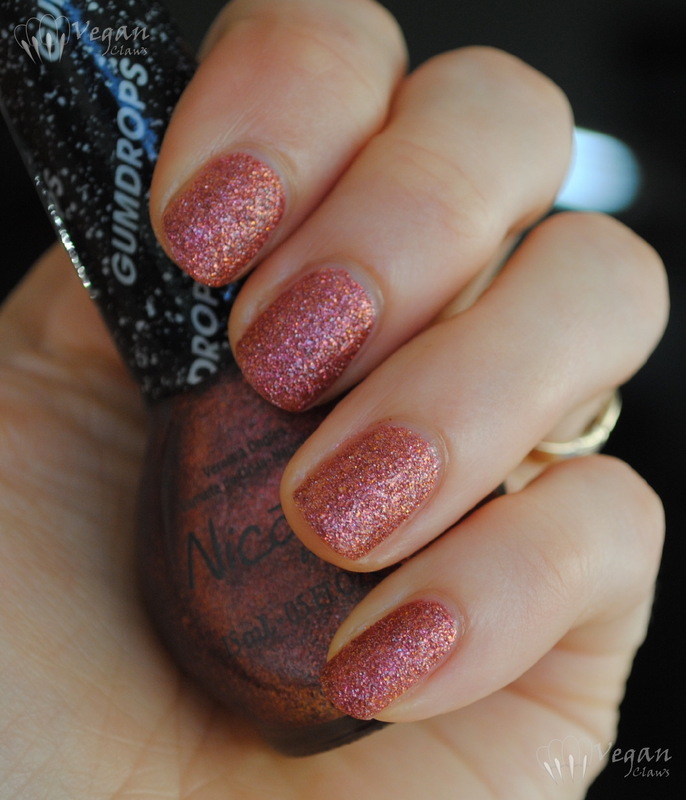 I love the matte peach glitters in this one, they make it so very unique. 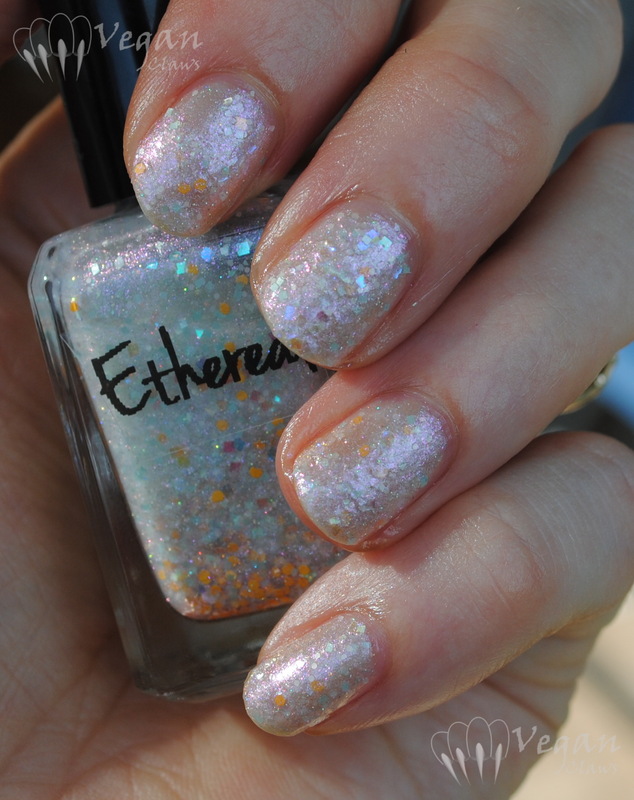 The swatches of Ethereal show three coats of polish. Two would probably be okay for those who don’t have yellowy-stained nails like I do. 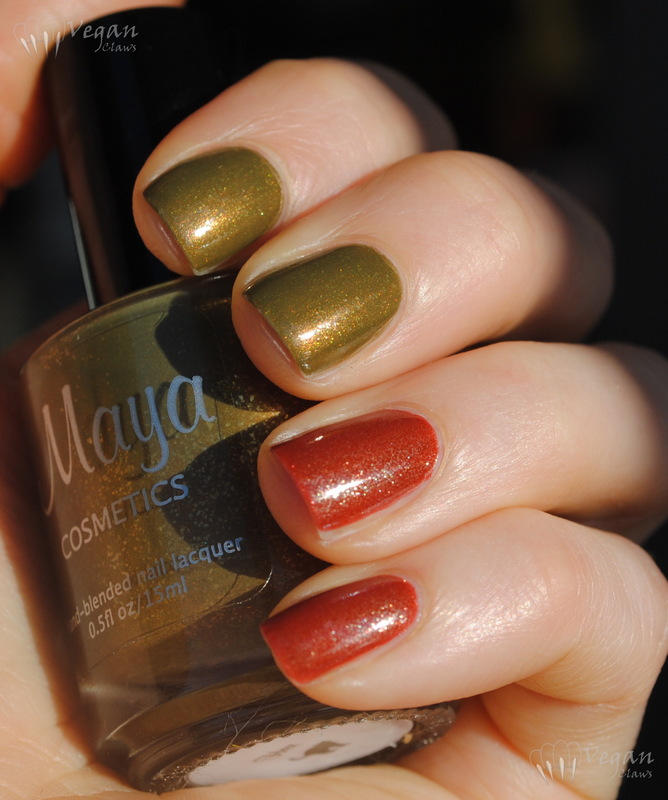 It would also make a great layering polish over many other shades! 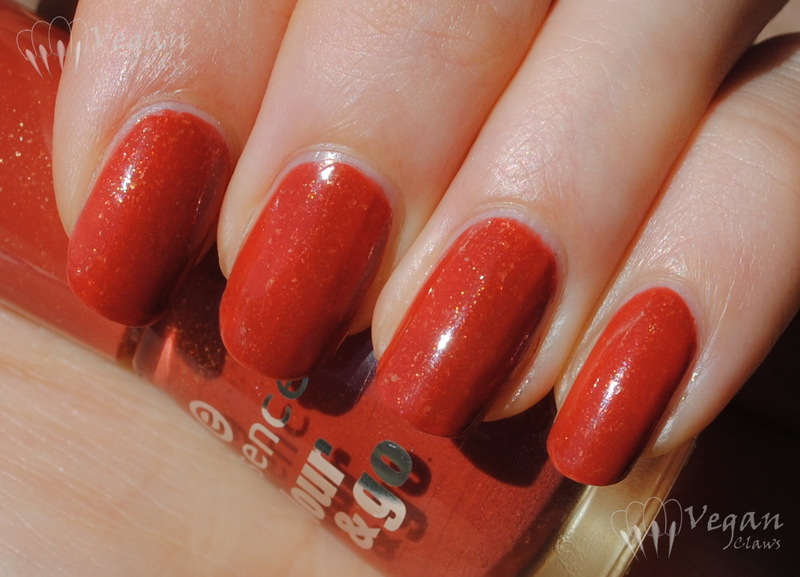 A slight texture can be felt from all the flakes and glitter, but a good topcoat takes care of that. 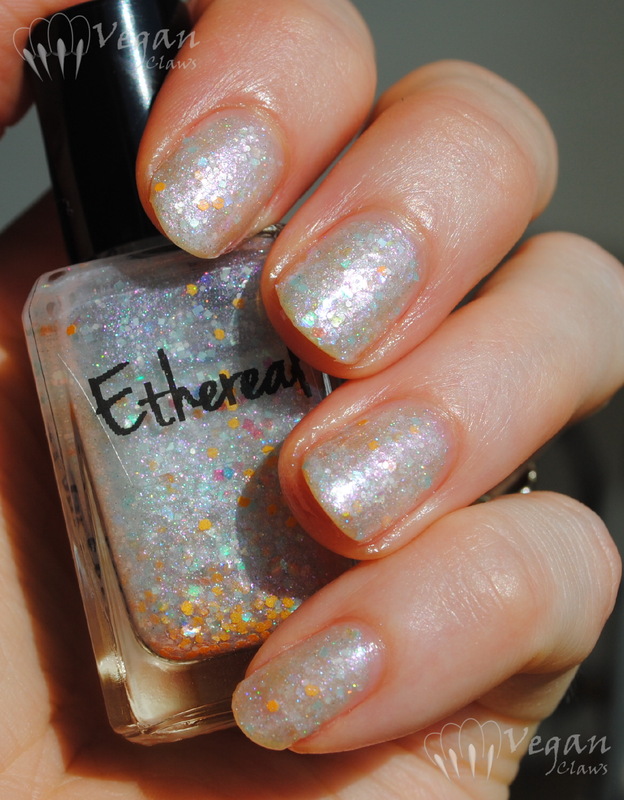 I had an email conversation with Laura, the creator of Ruby White Tips, and she mentioned plans to create a new shade “in memory of” Ethereal and possibly retiring this one, so if you like it like I do, I’d suggest picking it up sooner rather than later. The second polish I have to show today was inspired by Poppy, an “Indian flying fox”, one of the largest species of bat, who was “retired” from a zoo. Glad she is now in a non-exploitative sanctuary! This is two coats of Poppy the polish (three on my pinky, just because of a smudge). The application of this polish was smooth and easy. 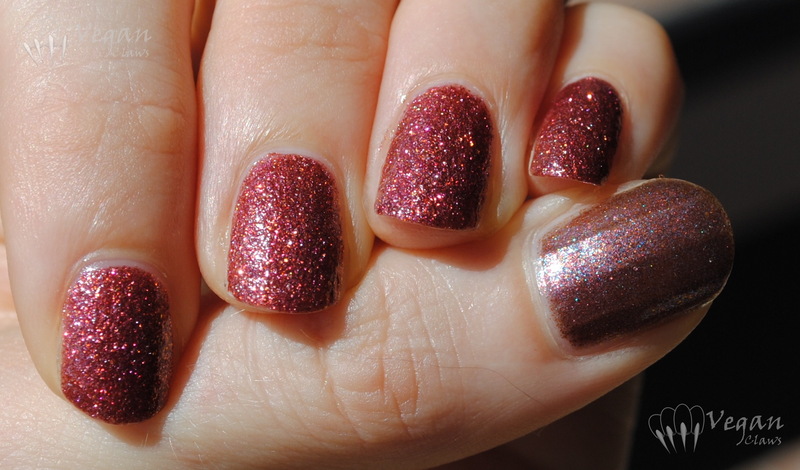 The shade of the polish fits its name, being a red shimmer that has a brick undertone and pink shimmer. 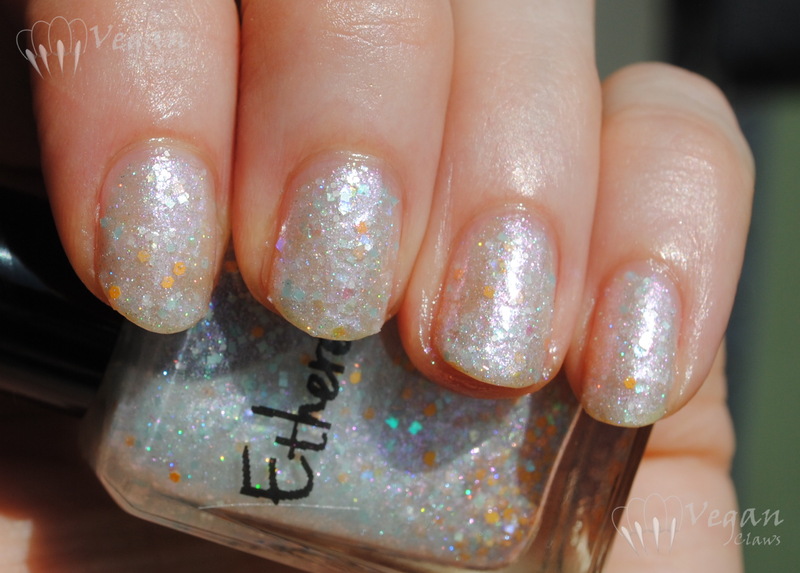 There is holo microglitter throughout the polish. 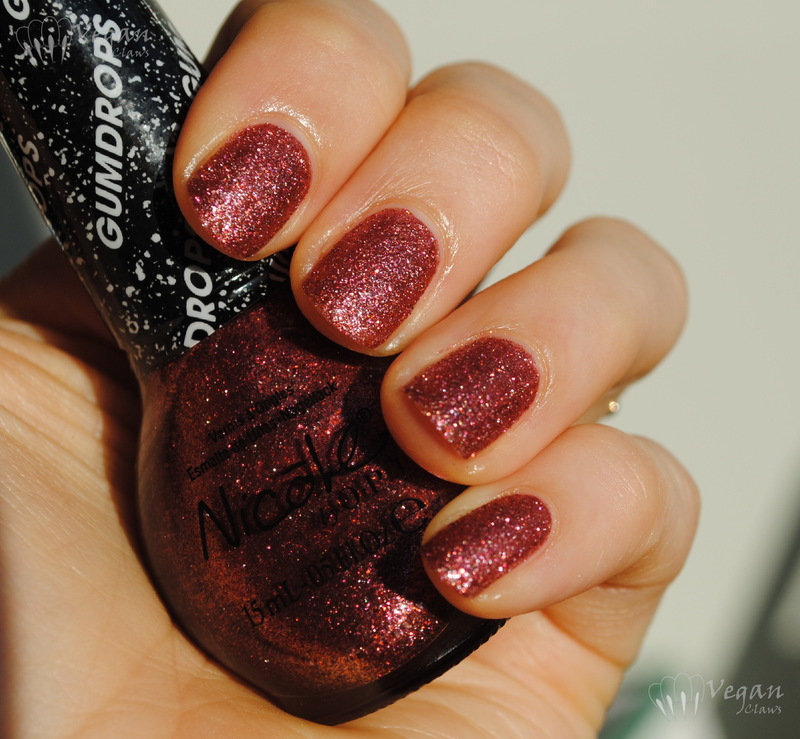 The microglitter leaves a bit of texture on the nail, so a coat or two of a good topcoat is recommended. I know I took some photos pre-topcoat and some after adding a layer of topcoat, but I can’t remember now which each of these particular photos were, sorry about that! Two more shades in my project to photograph all my Soulstice polishes! Which is finished by the way, but most of them still need editing and uploading. This is Prague, a very fall-appropriate dusty brick/burnt orange creme-based shade with mauve undertones and fine silver shimmer that falls somewhere between pearl and frost. I used two coats here, and the formula was thin but smooth. 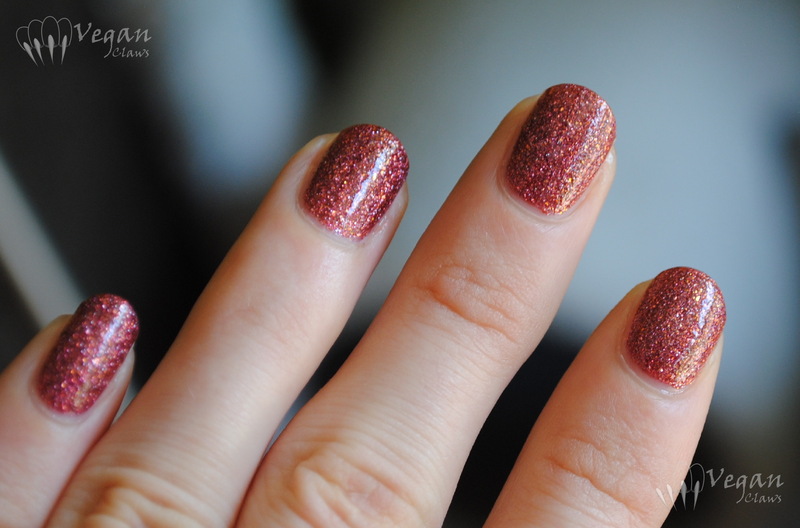 Here it is at two coats in the following picture, looking like a delicious strawberry! The formula on Kauai was a little thicker than Prague’s, and was excellent. 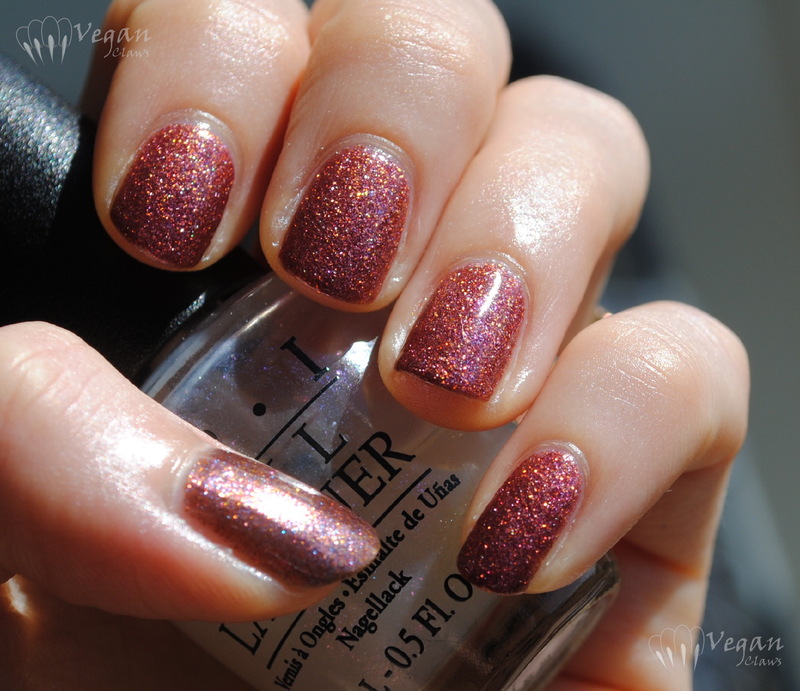 I swatched it without basecoat and I’d say this one is a potential stainer, so be sure to use a good basecoat! More Soulstice swatches to come soon!